Have Your Vehicle Transported to Costa Rica with the Experts! Contact A1 Overseas International for information and a FREE quote on auto transport to Costa Rica! Call 1-800-450-5319 or fill out the form! 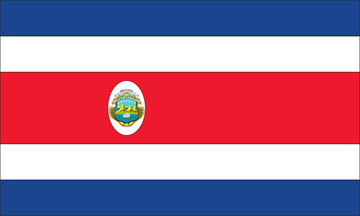 Get your auto shipped to Costa Rica by calling A1 Overseas International. They will have professionals take care of your vehicle’s transport to the country with less of a hassle. Any time a person needs to ship a vehicle to a foreign country, they must comply with the auto import and export policies set as well as the preparation requirements of the shipping company. This can easily become overwhelming and nearly impossible to do on one’s own. Costa Rica is a little more organized when it comes to their auto import policies. They have a detailed process that must be carried out in a specific order within the time frame given. Your international auto transport company will help, but you must contact the Embassy of Costa Rica for the latest auto import policy to assure the right guidelines are being met. Contact the embassy at least a couple months before you want to have the vehicle shipped. Fill out the form for temporary or permanent import through Customs. Have original documents such as license, passport, visa, insurance proof, title and registration, proof of residency, bill of lading, and vehicle invoice prepared. You may be able to bring copies and more documentation may be requested. Be ready to pay duties and taxes to obtain proof for Customs. Depending on the year of the vehicle, the taxes will vary. Older vehicles carry a higher percentage rate. If you are fully prepared as according to Customs and the transport company, the vehicle should have no problem being permitted into Costa Rica’s borders. Call 1-800-450-5319 or submit the form for info and a FREE price quote on boat, motorcycle and car shipping!